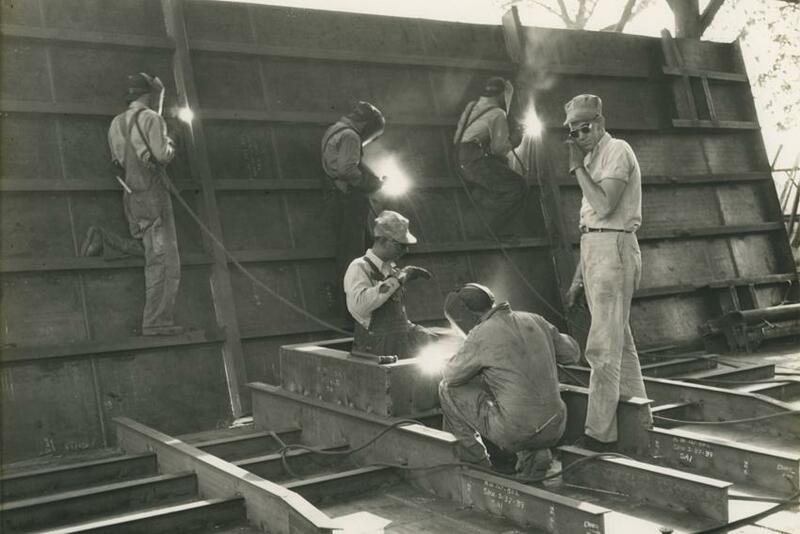 Welders work at Kline Iron & Steel’s location at Huger and Gervais in this photo from the mid-20th century. 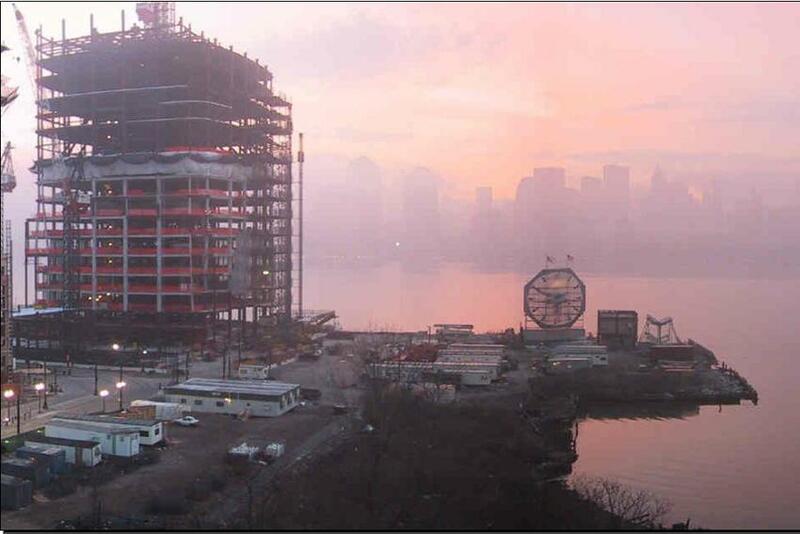 Kline provided the steel for the Goldman Sachs tower in Jersey City, N.J., seen here in progress. 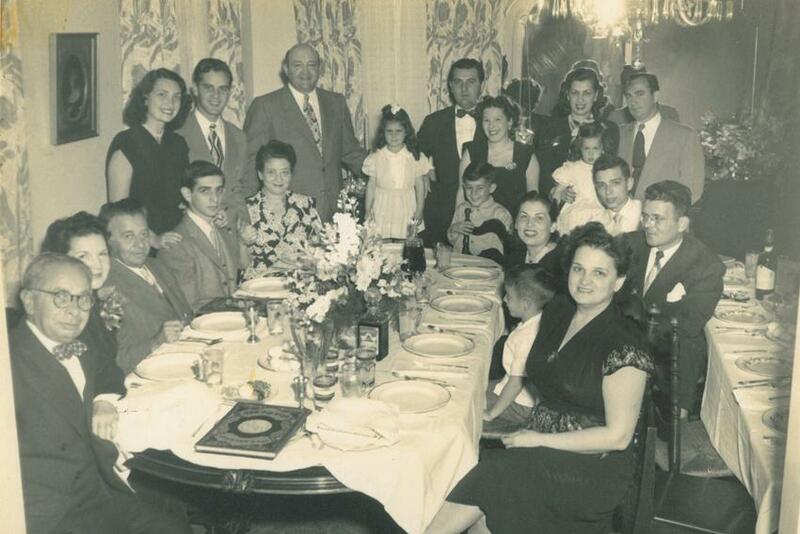 Photo shows a Kline family dinner from the 1940s. In 1917, Lithuanian immigrants Philip and Myer Kline listed their professions as “junk dealer” on their draft registration cards. Six years later, the brothers, whose families fled Eastern Europe to escape Jewish persecution, founded Kline Iron & Metal Company at Huger and Gervais streets in Columbia. “There was already a scrap yard there at that location, so that’s where they started their business,” says Jerry Kline, grandson of Philip Kline, great nephew of Myer, who served as the company’s president from 1981 until 2006. Jerry Kline, who was interested in preserving the history of his family and the Kline company, first reached out to University Libraries oral historian Andrea L’Hommedieu two years ago. Since then, L’Hommedieu has interviewed, recorded and transcribed the voices of Jerry and 32 other Kline family members, friends, business partners and former employees for the project, which documents both the family and the impact of the company. The collection is now online at Kline Iron & Steel Company: History and Recollections. Philip and Myer first arrived in the U.S. in Baltimore in the early 1900s via Germany and South Africa, and lived in Frostburg, Maryland, Richmond and Roanoke, Virginia and Greensboro and Charlotte, North Carolina before settling in Columbia. 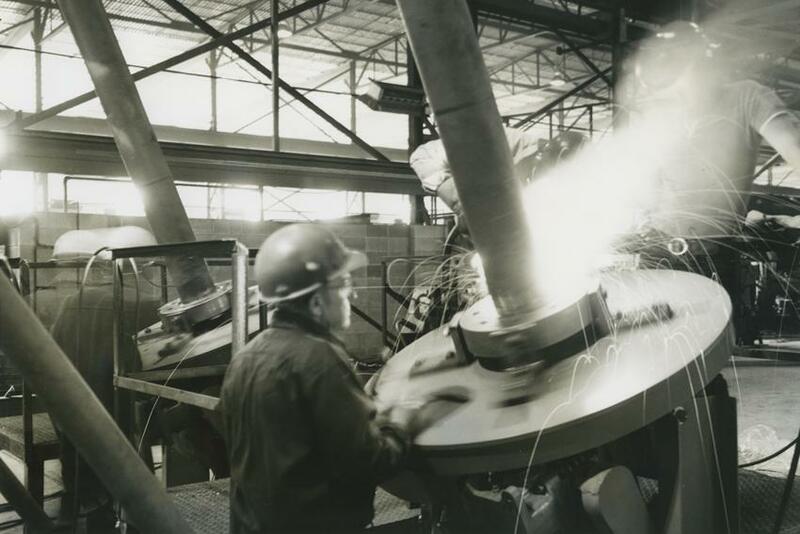 Kline Iron & Steel Company, as it became after incorporation in 1956, grew to become an internationally known powerhouse of metal fabrication and tower construction. It made the iron and steel that supports well-known buildings and landmarks around South Carolina, including the Colonial Life Arena, the South of the Border tower, the BMW plant in Greer and the Bon Secours Wellness Arena in Greenville. Nationally it provided the iron and steel for the antenna structure atop the World Trade Center, dozens of Anheuser Busch plants, the Mellon Bank in Pittsburgh, the Goldman Sachs Tower in Jersey City, the Northside power plant in Jacksonville, Florida and hundreds more projects. The company also furnished steel for projects as far away as Iceland, Japan, Poland, Argentina, Morocco, Saudi Arabia, Taiwan and Turkey. The Kline company even appeared in the Guinness Book of World Records in the 1960s for design, fabrication and construction of the “tallest structure in the world” — the KTHI-TV station tower in Fargo, North Dakota. The hundreds of photographs, advertisements, flyers, newsletters and brochures the Kline family donated for L’Hommedieu’s project document not only fabrication and construction projects, but also parties, awards ceremonies, baseball and bowling teams, community walks and other events. The result is a rich, complex story about not just a person, but a family, a community and an entire era. In his interview, Lewis Burns, who worked for the Klines for more than 30 years, talks about growing up in and then leaving Columbia’s African-American Ward One community. Sandra Hartley, who “graduated on a Friday in 1977 from high school and went to work Monday at Kline,” recalls growing up in rural Lexington and making straw huts, digging underground caves and putting on skits for entertainment as a child. Larry Dowd, who was a quality control manager at Kline, recollects Christmas during the Great Depression. And multiple Kline family members recall traditional Eastern European Jewish dishes — potato kugel, stuffed derma, tzimmes, schmaltz herring with boiled potato and sour cream, and grapefruit with raspberries for dessert.